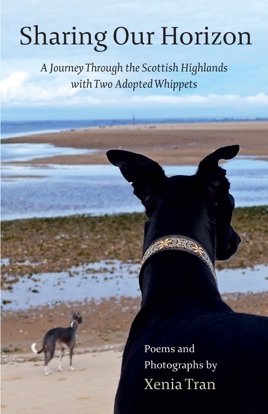 Welcome to Sharing Our Horizon, a collection of poems and photographs that capture daily moments in the Scottish Highlands with our two adopted whippets, Eivor and Pearl. Like most dogs, Eivor and Pearl love spending time in nature. They have taken us to places we had never visited before and the restorative energies of those quiet beaches, mountains and glens have played a big part in their rehabilitation. The majority of the poems are haiku, halibun and tanka. Traditionally, these poems begin with quiet poetic observation and conclude with a moment of philosophical or spiritual insight. They are written in rhythm with the seasons and the fluctuations of the weather within those seasons.